HeMa Life Centre launched a pioneering fresh produce retail store on January 15th, 2016 in Pudong Shanghai that is attracting keen attention from the industry. 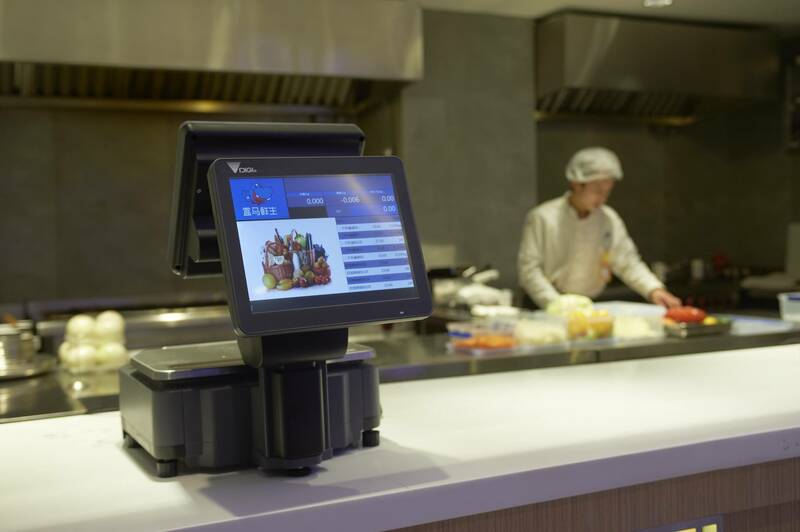 And Shanghai Teraoka Electronic Co., Ltd. was their main equipment supplier for DIGI POS system, weighing, wrapping, and labeling equipment for this leading-edge food retailing venue. HeMa Life Centre is the flagship store in HeMa Fresh Produce’s omnichannel retailing initiative, with 4,500 square meters of floor space selling a wide selection of fresh meats, seafood, fruits and vegetables, grains, frozen food, bakery items, and prepared foods. This retail space is unique in that it is fully integrated with its online retail business, which was launched at the same time, with a smartphone app that is used for all item purchases. Customer experience is a key component of this initiative, with the physical store giving customers a chance to see how fresh the food is, so they can shop at the online store with the same confidence they have at the physical store. Shop at the physical store and take the items home or have them delivered. Orders are delivered within 30 minutes (within a 5 km radius of the store). Linerless label is used to streamline the packaging workflow and facilitate label’s inventory control. To realize such demanding operational efficiencies, the initiative’s project leader knew he needed an equipment manufacturer with a high level of professionalism and excellent service. That is why DIGI was selected to supply the retail equipment and systems for the store. He also knew that the DIGI name is synonymous with innovation, so they could count on DIGI in the future to help realize new ideas as their company opened concept stores in other areas. DIGI is proud to be a contributor to this ground-breaking initiative that is helping to shape the future of the retail industry.